Opened in 1947 by a son of Henry Lyons Seller Lardanchet the Lardanchet library is taken in 1975 by Pierre and Dominique Meaudre. It is now run by Thierry and Bertrand Meaudre. Set up Beauveau in front of the Elysee and near Bristol, from the Art galleries and antique shops of the Faubourg Saint-Honore, it was arranged by the production designer Dominic. 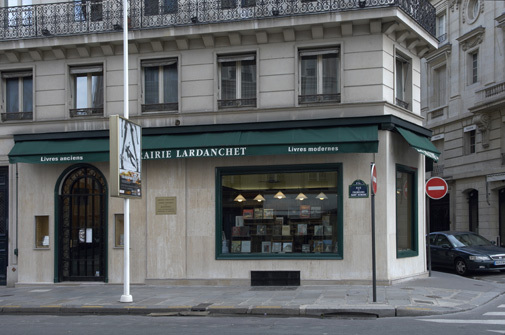 Since then she has become one of the popular places in Paris of art and rare book lovers.